As most of you know, the heart of my book, How to Celebrate Everything, is as much about savoring the smaller moments, about infusing meaning into the everyday, about taking a step back to make sure we’re all asking ourselves: Are we living intentionally or just racing to the finish line every single day? What I would also like to point out, however, is that I am VERY MUCH about the Biggies too, namely, The Super Bowl for Celebrators, namely: The Holidays. I have a lot of festive food and treats lined up for you in the next few weeks, but I wanted to launch the season with a little starter course that SHOUTS celebration: A very sparkly offer from my longtime partner — and your go-to indie food gift resource — Mouth.com. Starting today, they are offering DALS readers 15% off all their products, but I wanted to call your attention first and foremost to this Holiday Sparkling Cocktail Kit, which aligns so nicely with the DALS mission of celebration. 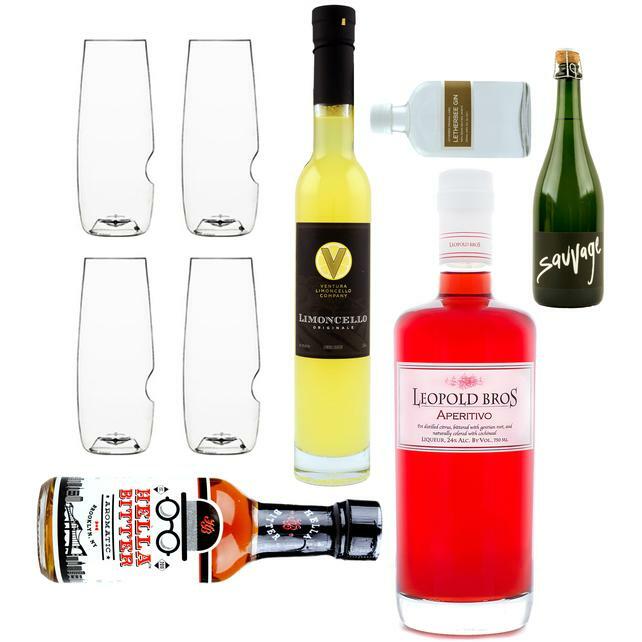 The kit includes four shatter-proof flutes and five specialty bottles (sparkling wine, craft gin, limoncello, bitters, and a Campari-like aperitif) from which you can make three decidedly grown-up, decidedly holiday-worthy cocktails. It’s a great gift, but, as I’ve noticed these past few weeks, with these magic bottles on my shelves, it has also been a good excuse to tell friends, Hey stop by for a drink before you go out to dinner. And not just the rote old DALS gin-and-tonic drink, either. A fancy drink, a fussy drink, a bubbly drink, a celebratory drink, because… well, tis the season. Please head over there to Mouth to check out all their offerings, and don’t forget to type in your discount code (LOVESTORY15) at checkout. Cheers! Jenny, I have a completely unrelated question to ask you, but you and Andy are the only people I “know” that might have the answer. We were watching a movie with our 12 year old son last night, and there was clear product placement in the movie. Our son is a voracious reader, and he turned to us and asked whether authors are ever paid for product placement in their books. Such a good question and I have no idea – any chance you do?